ARTC Studio is the recording home for Atlanta Radio Theatre Company. And it can be your recording home, too! ARTC is proud to make our studio available for any groups that need a quiet space for voiceover recording. 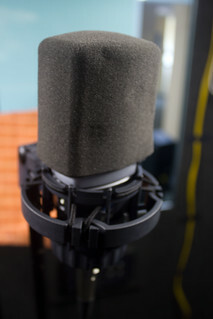 Located in Tucker, Georgia, ARTC Studio is an ideal environment for your voiceover recording session whether it’s audiobooks, corporate training videos, motion comics, or whatever else you might want to record. Contact us to work out your schedule and to discuss our extremely reasonable rates! We can also offer limited graphics services, including large-scale printing (up to 26″x36″). See the construction of the recording booth for ARTC Studio here.